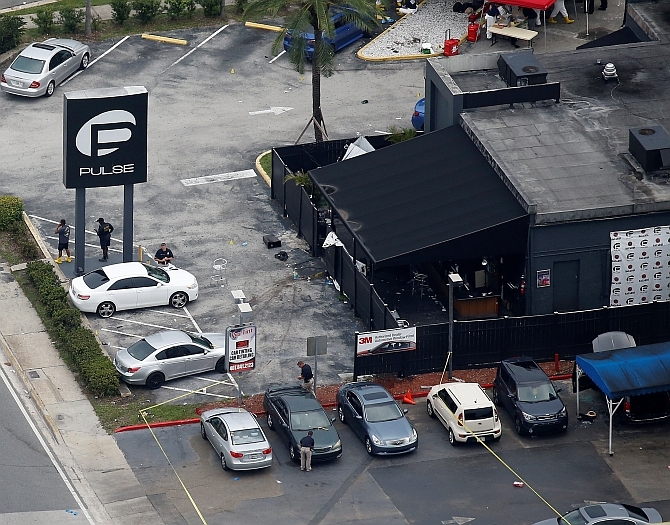 Tales of horror continue to emerge from the patrons at the gay nightclub Pulse in Orlando, the site of the deadliest mass shooting in the United States and the nation's worst terror attack since 9/11. Pulse describes itself as "the hottest gay bar" in the heart of Orlando. Hours before the shooting, the club urged partygoers to attend its "Latin flavor" event Saturday night, CNN reported, adding, that the the cavernous club was hosting more than 300 patrons late Saturday and into Sunday morning. Normally packed with dancers, the club was filled with chaos immediately as Omar Mateen, the shooter, opened fire. Jackie Smith, who was inside the club and says two of his friends were shot, told the Associated Press after release from Orlando Regional Medical Centre: "Some guy walked in and started shooting everybody. He had an automatic rifle, so nobody stood a chance. I just tried to get out of there." Club goer Christopher Hansen who escaped the club, later told CNN, "It's just shocking, I just saw bodies going down." He heard gunshots, "just one after another after another." 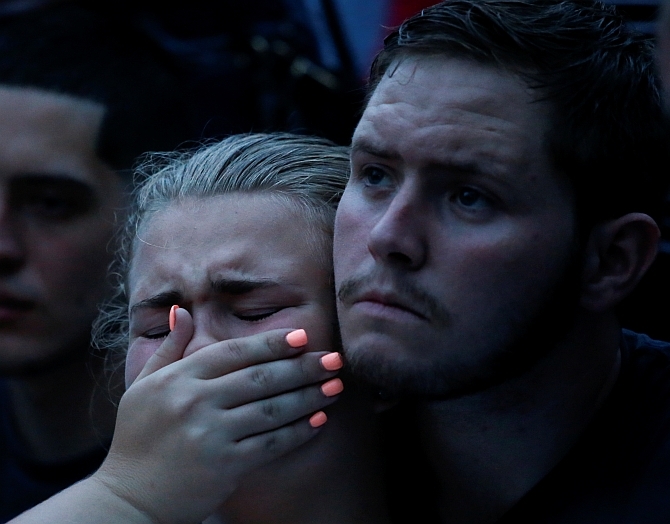 The gunshots went on for so long that the shooting "could have lasted a whole song," he said. Witnesses said Mateen aimed at people, who dropped to the ground. For the next three hours, law enforcement and SWAT members worked to rescue hostages from inside the club. "People were trampling over each other," said Jillian Amador, whose arm was cut by broken glass. "I feel terrible. I have anxiety. I'm scared. I don't want to go out." "At first I thought it was fireworks ... I didn't believe it, then I saw people on the ground and people running," she told the Orlando Sentinel. 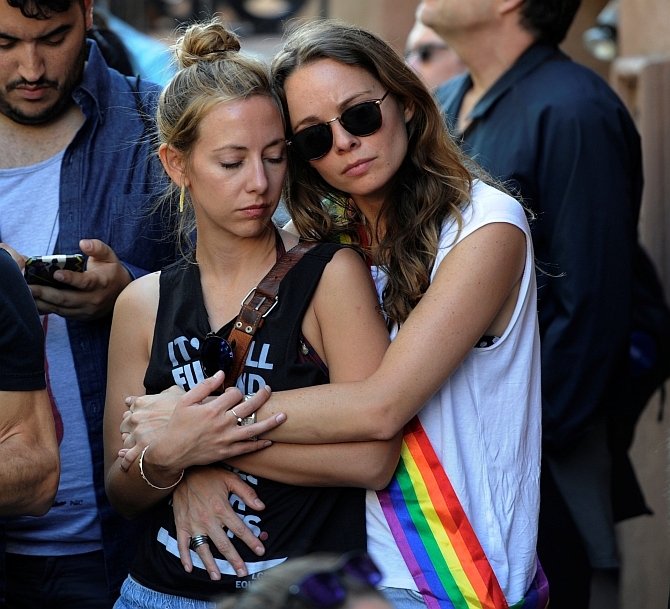 Rosie Feba, who was at Pulse with her girlfriend, said: "She told me someone was shooting. Everyone was getting on the floor. I told her I didn't think it was real, I thought it was just part of the music until I saw fire coming out of his gun." Janiel Gonzalez, 26, said he was sober and he remembers checking his watch just before walking up to the bar at Pulse nightclub. "I was ordering a Red Bull at the bar. I decided not to drink alcohol last night. As I was signing my tab, out of nowhere, I heard gunfire," he told The Palm Beach Post. At first, he said, people thought it was a fireworks display for the music. "But it got louder and louder," he said, adding "It wasn't until everybody started smelling the ammunition everybody realized this is real life." "Everybody dropped to the floor. We were trying to look for an exit. 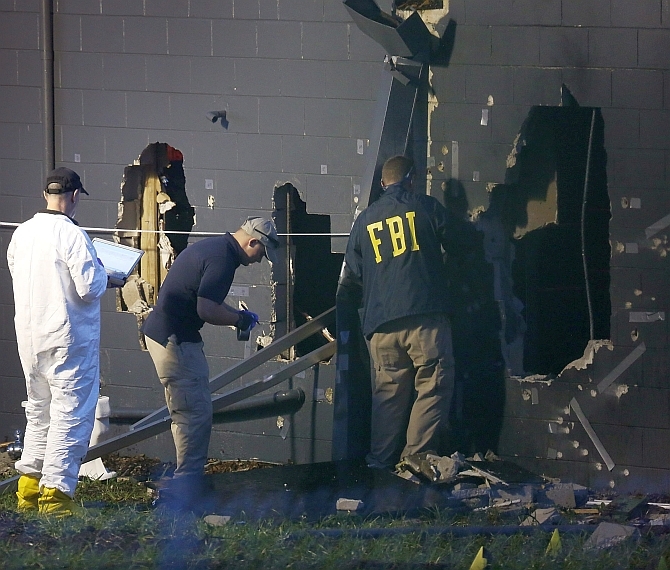 But the main exit was right next to the entrance where the shooter was shooting," he said. "In a moment of desperation we were all crawling on the floor trying to find a place to exit. I looked to my right and I could see people going through some curtains. We were digging through the curtains and found a door." "Fifty people were trying to jump over each other trying to exit the place. There was a guy holding the door and not letting us exit. He’s like 'Stay inside, stay inside'. As he is saying that, the shooter keeps getting closer and closer and the sound of the bullets is getting closer. Everyone starts to panic. People are getting trampled. Let us out, let us out!"